Newly planted woodlands need to be cared for by weeding for the first 2 or 3 years but once the young trees are established and growing well they can be left alone until they start to compete with each other which may be at 8 to 15 years depending on the density of planting and speed of growth. This is a good time to to open up paths through your wood to really see what you have, you may have forgotten what was originally planted. Dominant Goat Willow may be swamping other species and will need cutting back. Slower growing trees such as Wild Service may need their neighbours removing (halo thinning) to prevent overshading. If you have any ash in your woods now is a good time to check for and remove any ash die-back disease. Pruning of side branches on trees such as cherry, ash and maples will ensure timber quality trees for the future. After 20 years or so the wood will have formed a canopy dense enough to shade out most of the ground vegetation. 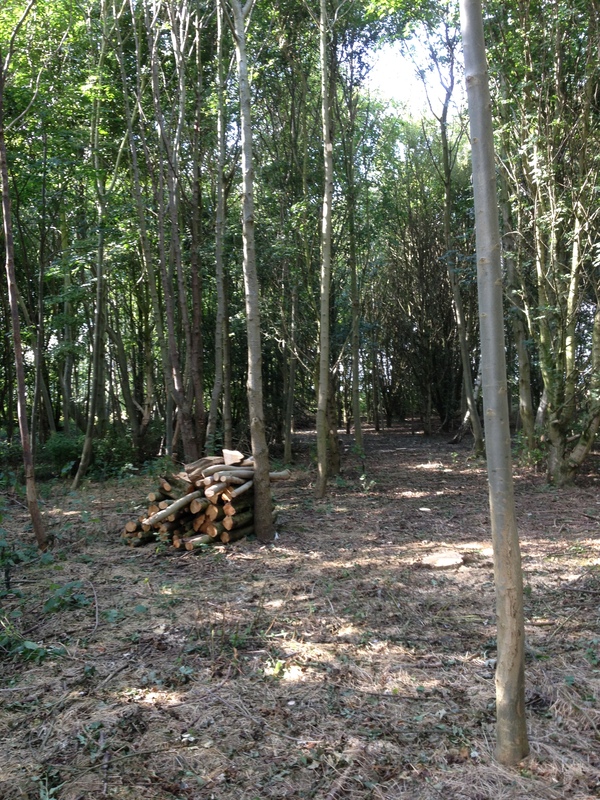 This is the stage when the wood needs to be thinned to allow the preferred trees more room to grow. For more details click here. Pruning of oaks should begin now to promote the development of clean straight stems on selected trees. For young woodlands thinning should not mean felling. Young trees are killed by ring-barking or girdling. This can be done very quickly and safely with a chain-saw. For a more detailed explanation click here. 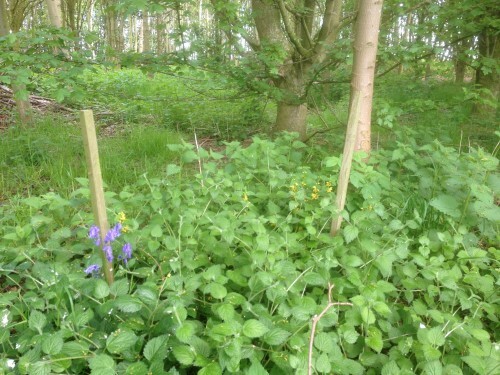 Visitors are welcome by appointment to see how we have thinned young woodlands in Dunsby. Aveland Trees can mark young woodlands ready for thinning. 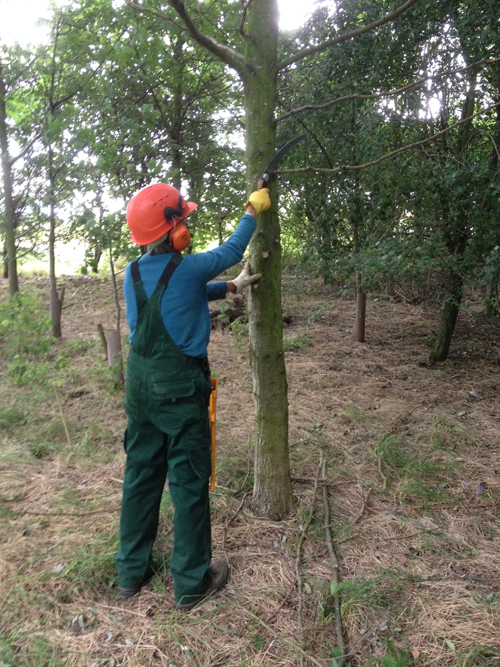 We can also girdle the marked trees and do any felling that may be needed to allow access to the woodland. 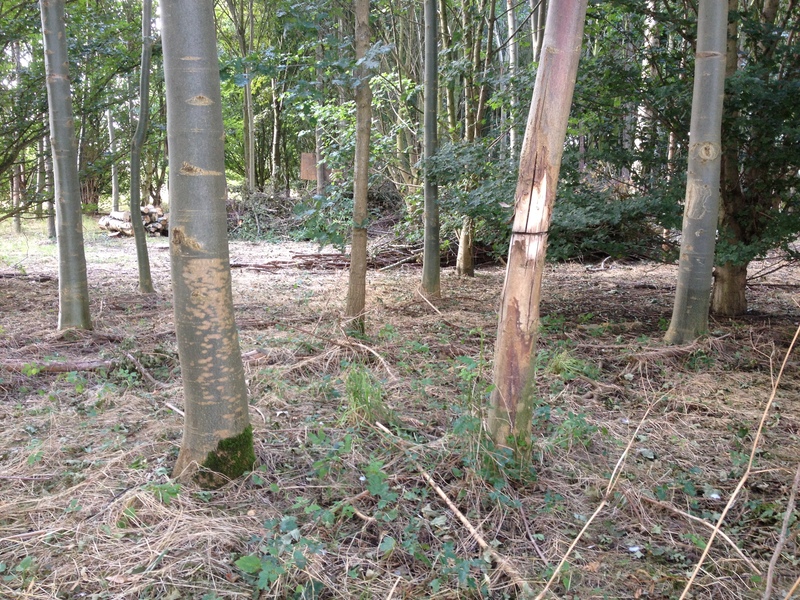 Aveland Trees can also advise on the need for felling licences. For a site visit contact Hugh Dorrington contacts.